Simple Elegance! 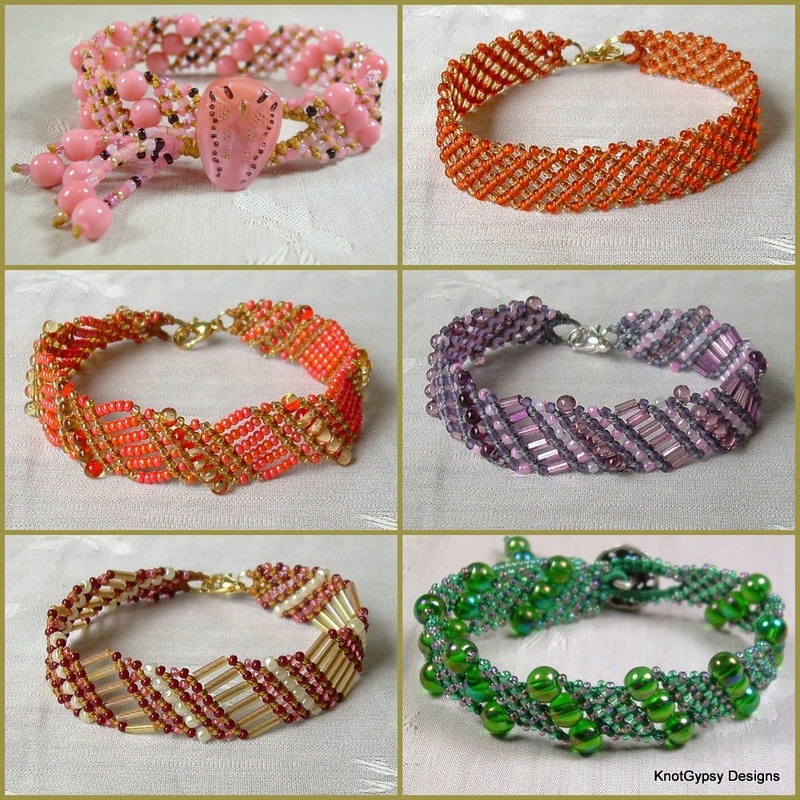 So many ways to bead one simple knotting scheme. Recommended Skill level: Beginner (some beading and knotting experience helpful but probably not necessary). Part 1 - Instructions for Basic Angle Bracelet with clasp. A simple design of repeating rows of Diagonal Double Half Hitches (DHHs) with four ways to vary the beading. Part 2 - includes 2 more beading schemes and how to make a button closure. Also included are instructions to reverse the direction of the knots for a "New Angle" look. Also included...a free copy of "The Basics" (11 pages of info on how to make the knots, materials used and sources, and helpful hints/tips). $3.50 - Find Basic Angle Bracelet Pattern at my Etsy shop.